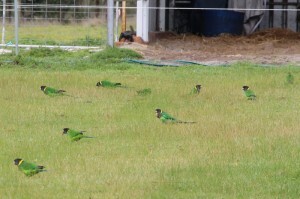 A flock of Australian Ringneck parrots were tucking into something on the summer paddock. I have never seen that many on the ground before and they were so intent on eating that they didn’t pay attention to me or the dog. These are of the semitorquatus subspecies and have a red splash on the forehead. 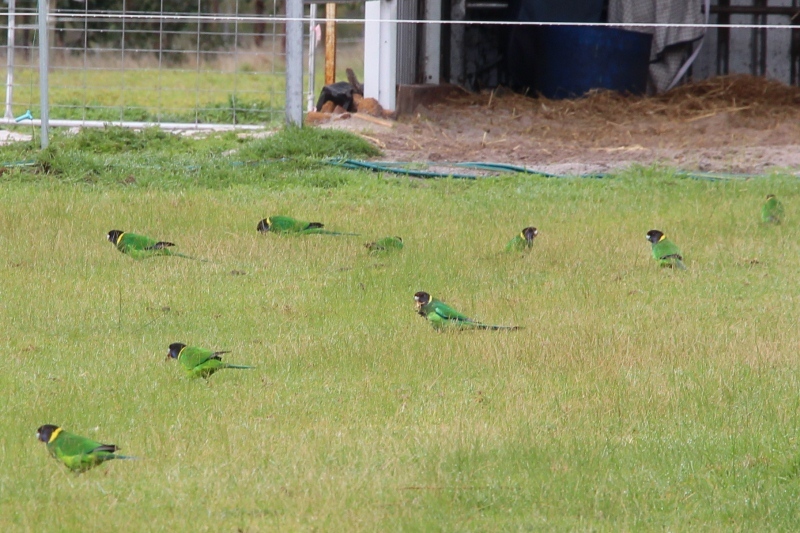 It is commonly called the Twenty-eight Parrot in WA because of its call, but I don’t think I have heard them say that.